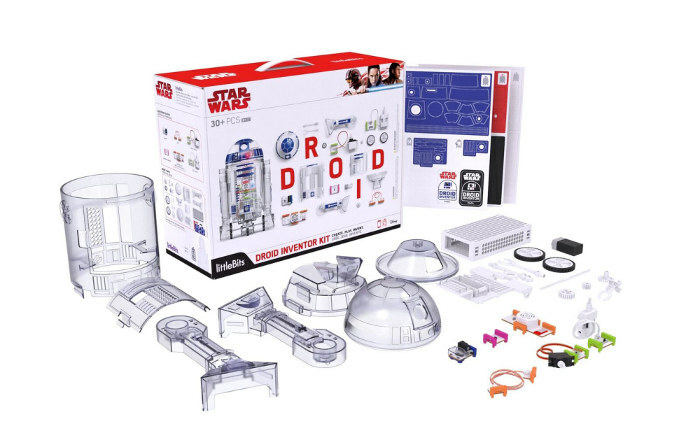 The littleBits Star Wars Droid Inventor Kit Brings Out the Creativity in Kids . Aimed at empowering kids aged 8 and over, this kit is created specifically to inspire their imagination, bring out their inner inventor, and grow their interest in circuits, coding and all things STEM-related. The kits are also deliberately gender-inclusive - girls can love robots too of course, and the focus with this kit is that it’s fun for all, not just boys. And not even just Star Wars fans. So what's in the box? Well, for a start this isn't going to be a toy that will be unpacked, played with for a few minutes, thrown around and then forgotten about. Kids will have to get creative and build the droid from scratch, but that’s all part of the fun. They’ll be learning by doing - picking up the basics of building circuits and testing out what different combinations do. Everything is taken one step at a time so they’ll be able to explore electronics their own terms, without rigid assembly instructions. The droid is made up of six 'Bits’ which are basically the components that are combined to bring the droid to life: a control hub (the brains), motor, power supply, proximity sensor, servo and wire to extend the gap between the Bits. The Bits are color-coded too which makes it is clear how they fit together. Even better they’re connected magnetically so no soldering or screws required. There are 20 clear plastic droid parts that are slotted together around the Bits to turn it into the R2-D2 we’re familiar with. 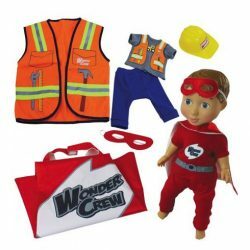 The pieces fit together fairly easily too, so the kiddos won't get frustrated and annoyed by fiddly bits that require the assistance of an adult. There are three sheets of stickers which can be used to customize the droid, making the bot as unique as the kids want it to be. In terms of instructions, there is a quick start guide included in the box and more detailed instructions available on a free app, that’s compatible with most mobile devices. The app adds to the learning experience and includes videos and over 16 ‘missions’ to help kids discover what their droid can do. The app can also be used as a remote control when it comes to giving the droid a whizz around. Just like the real thing, it can go in pretty much any direction. The head can be reconfigured to spin around 360 degrees just like in the movies, and as you might expect, it even has the authentic ‘toots’ and ‘whistles’ of the real R2-D2. It is of course more than just a remote-control droid. 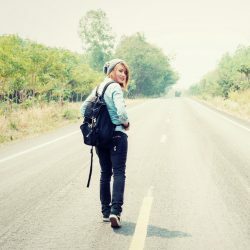 There are additional modes such as ‘self navigation’ where the bot can detect if it’s about to collide with an object, and change its course before it’s too late. There’s a ‘draw mode’ where a pen can be attached and the droid moved around to sketch out top secret plans or messages. The droid can also be used as a secret messenger, where covert plans can be recorded onto it and sent off securely to deliver news. You can even use 'The Force' to move it, simply by moving your hand nearby (spoiler: not really the Force, just the proximity sensor on the droid). 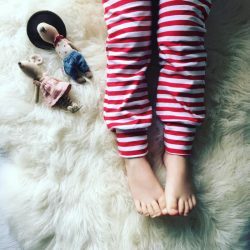 A fantastic added feature that will unlock endless possibilities is that the droid can be customized as much or as little as the child likes. The body or head can be switched with everyday objects and will still work in the same way. Want to design a cereal box droid? You got it. 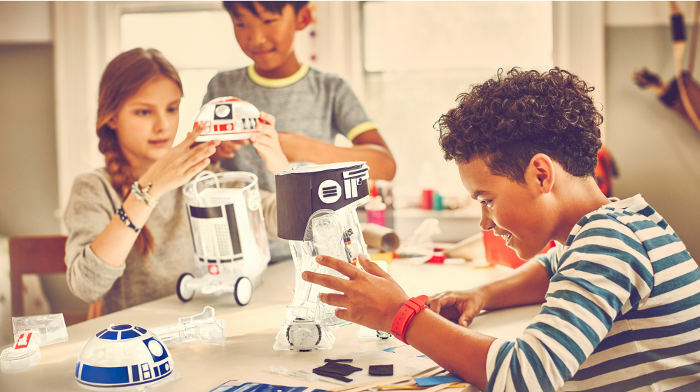 Not only will kids find making a working R2-D2 great fun, but making a droid they’ve designed themselves will be incredibly satisfying. What’s more, if they happen to have other littleBits kits, those Bits can be combined to expand the functionality and give the droid even more possibilities. 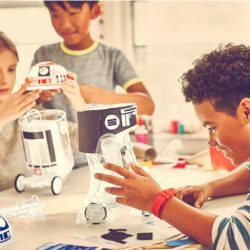 Overall, this littleBits Star Wars Droid Inventor Kit would make a great gift for kids with inquisitive minds who love technology mixed in with a touch of DIY. Even if Star Wars isn’t their thing, these ARE the droids they’ll want to hang out with. The Inventor Kit is available at Amazon, Walmart and the littleBits website. A bunch of cool aunts (and the odd uncle) who love scouring the Internet to seek out sweet 'finds' for the kiddos. 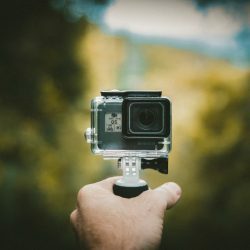 GoPro vs AKASO: Which is the Best Action Camera for Adventurous Kids?